Legendary Belfast band who were contemporaries of Them. Frontman Brian Rossi had been singing with skiffle groups and big bands since the 50s, including the Manhattan Showband with guitarist Herbie Armstrong (Did Van Morrison also have a spell in the Manhattan?) Rossi's shaven head gave him a distinctive presence (he also has a tattoo of a wheel on his scalp). The rest of the band had been in The Golden Eagles. Rossi and Armstrong had both earlier been members of the Manhattan Showband. The band was based in Blackpool during 1964, playing the northern soul circuit and living on a farm shared with the Rockin' Vicars (with a pre Motorhead Lemmy Kilminster). Original rhythm guitarist Kit Carson left during this residency. He was replaced by Rod Demick in late 1965 (other sources have Demick joining the band before the move to the UK, circa 1963). Demick was born in Wales but raised in Belfast. He'd been in skiffle group The Vibros who later became The Telstars. Demick sang most of the R & B numbers, while Rossi was more of a crooner and did the more sophisticated material. The band built up a very strong following in the North of England and went on to record several wild beat singles. 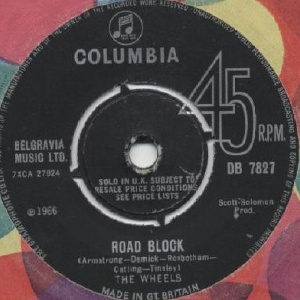 They sent a demo tape to Phil Soloman in 1965. In May '65 they recorded 3 songs at Regent Sounds: "Gloria", "Mona" and a third track. 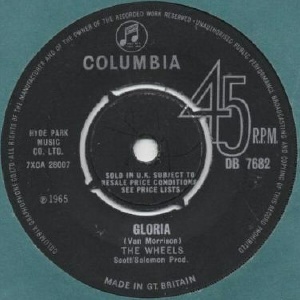 "Gloria" was released in September 1965. 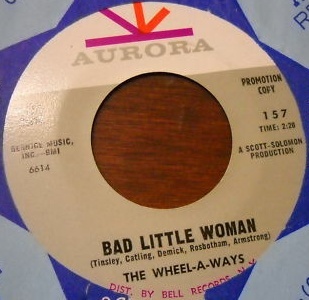 Their second single, "Bad Little Woman", was recorded twice, once for the Irish/UK market and once for the U.S. market released under the name The Wheel-A-Ways in order to avoid confusion with Mitch Ryder's band. 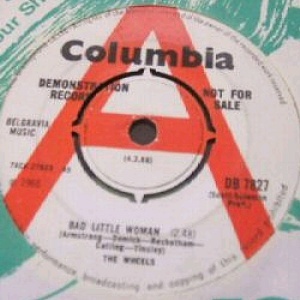 The American version came out on Aurora Records and it is generally considered the best of the two. 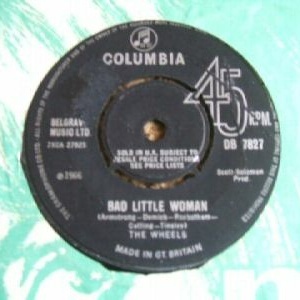 The B-side is an R&B tune with piano and harmonica. 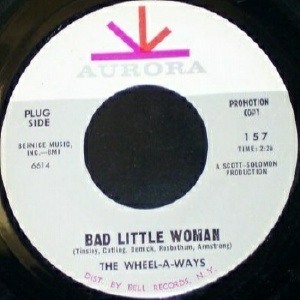 "Bad Little Woman" was covered by Chicago legends The Shadows of Knight. Brian Rossi left after the second single and was replaced by Eric Wrickson (AKA Eric Wrixon, ex Them, The People, later in The Trixons). 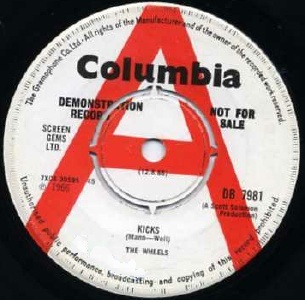 Wrickson appears on the last single "Kicks", which stiffed. Brian Rossi rejoined the band for a final tour in 1967 after which the band split. Demick & Armstrong then worked together as a duo. All Wheels singles tracks are compiled on the Belfast Beat Maritime Blues CD  along with five previously unreleased reccordings, making 12 tracks / 32 minutes in all, the complete Wheels discography as we know it. 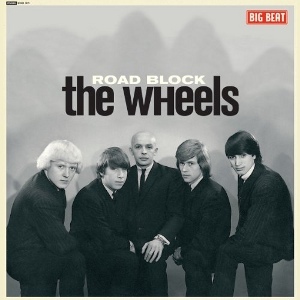 Finally, in 2012, Big Beat brought out the same material on vinyl on the "Road Block" album. Either is an essential purchase. 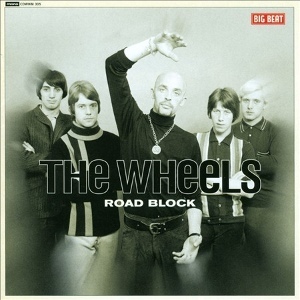 Not related to obscure Belfast group the Wheels of Time.